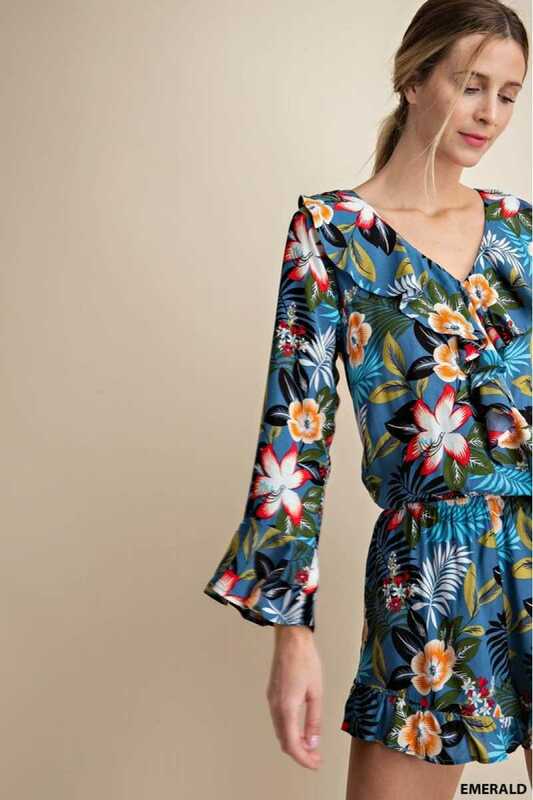 Pack up this garden print romper for you next tropical vacation! 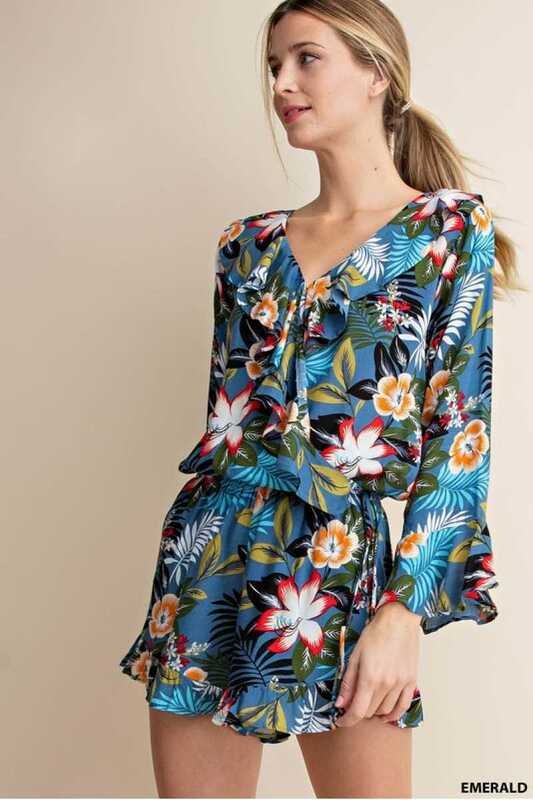 This romper features a ruffled framed vneck and loose long sleeves that have flare detail. Pair with wedges and a statement necklace for chic and trendy summer look. For a more casual look, pair with sandals and a crossbody bag!